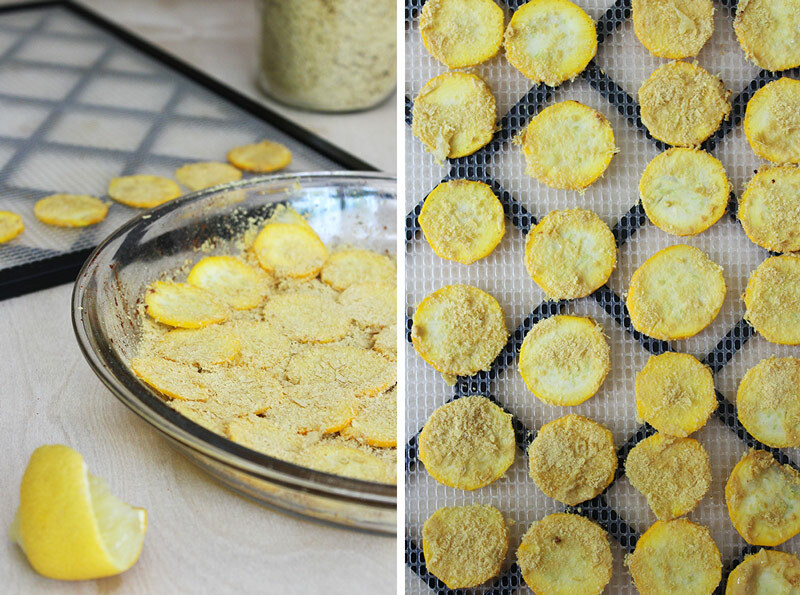 These raw vegan zucchini chips are flavored to your desire and dehydrated until crispy. 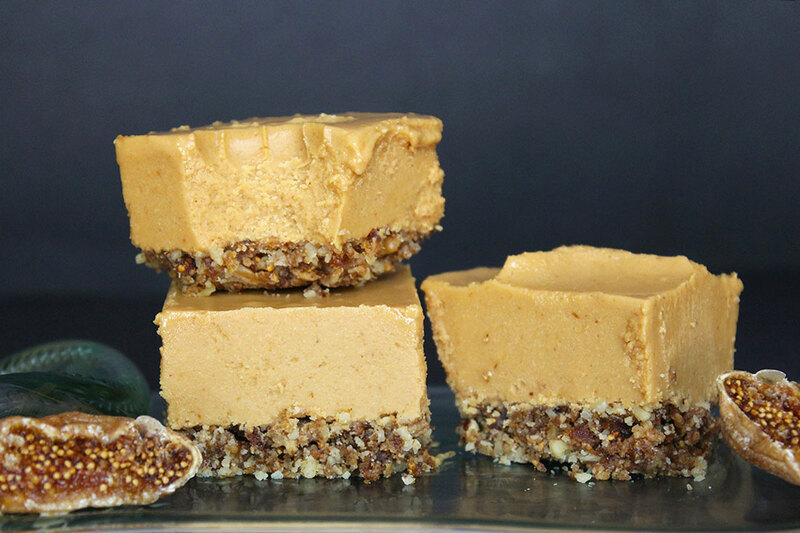 It’s a simple snack that is sure to please in flavor and texture. You can choose from cheesy, BBQ, and salt & vinegar; or you can mix all three, it’s so good! 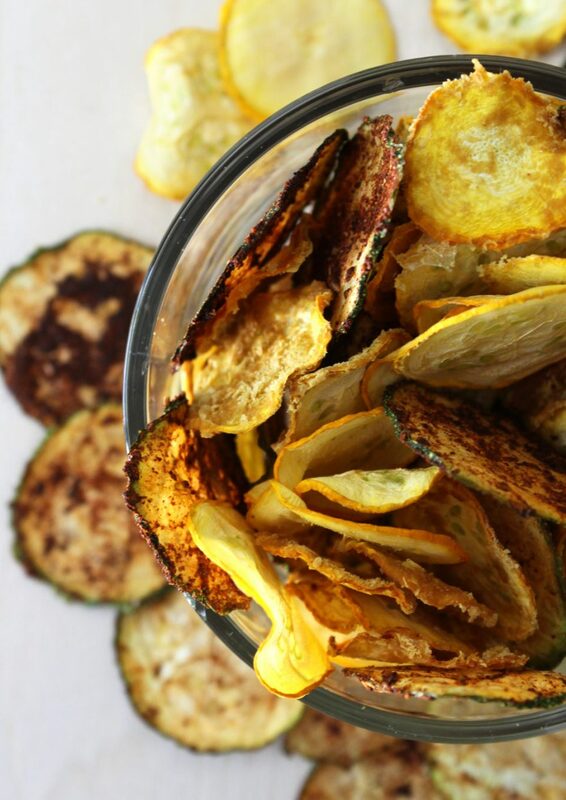 Making raw vegan chips is easy, especially these zucchini chips. 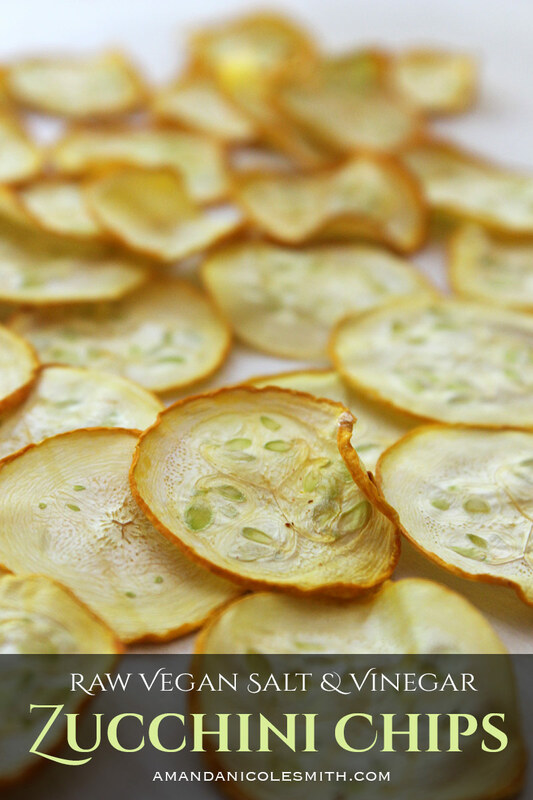 All you need is the right tools; a mandolin to slice them thin, or a steady hand with a good sharp knife, and a dehydrator. 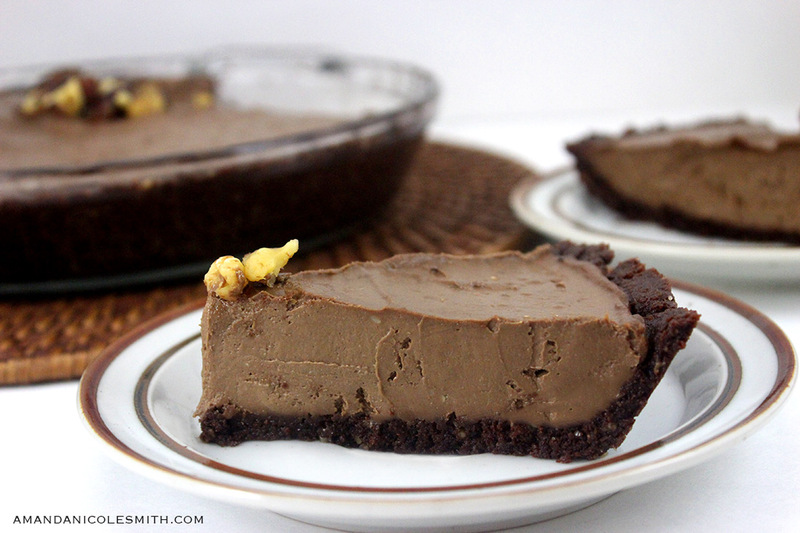 You’ll want to slice them about an 1/8-1/4 inch thick. The thicker the cut, the crunchier the chip. I always like variety, so I cut them both sizes, although the thicker ones take a little bit longer to dry. 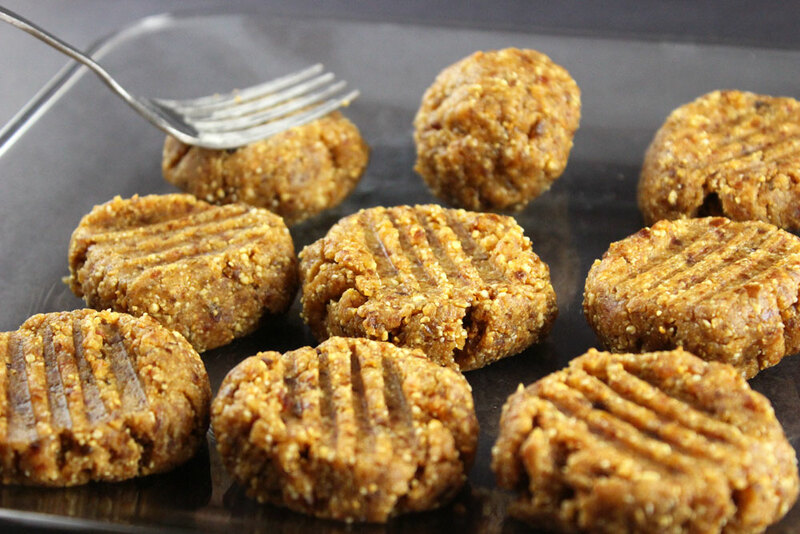 Then you smother them with your favorite flavors and dehydrate them until crispy, which is usually overnight. I used a green and yellow zucchini, it doesn’t matter what color it is, but the size does matter. If you choose a large zucchini chances are it has large seeds in the base. 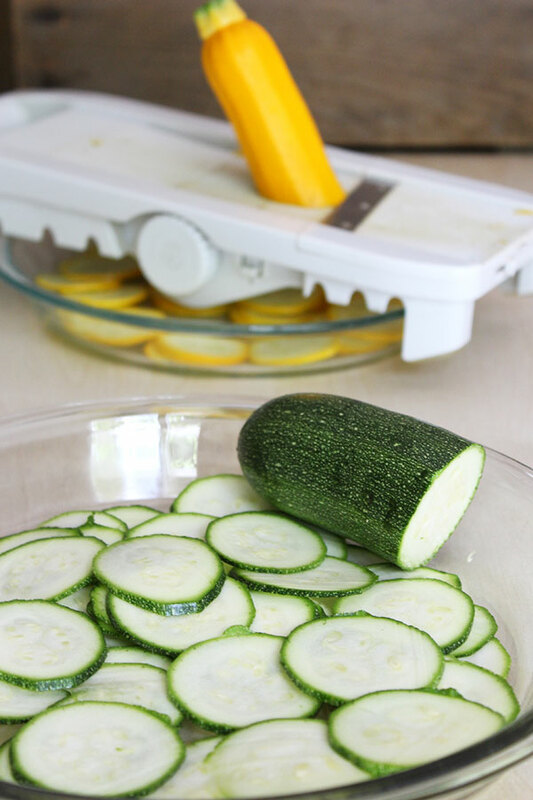 So basically you can use the neck, and have large chips, and then use the base for another dish with cubed zucchini, or you can choose a slightly smaller zucchini and use it in its entirety. 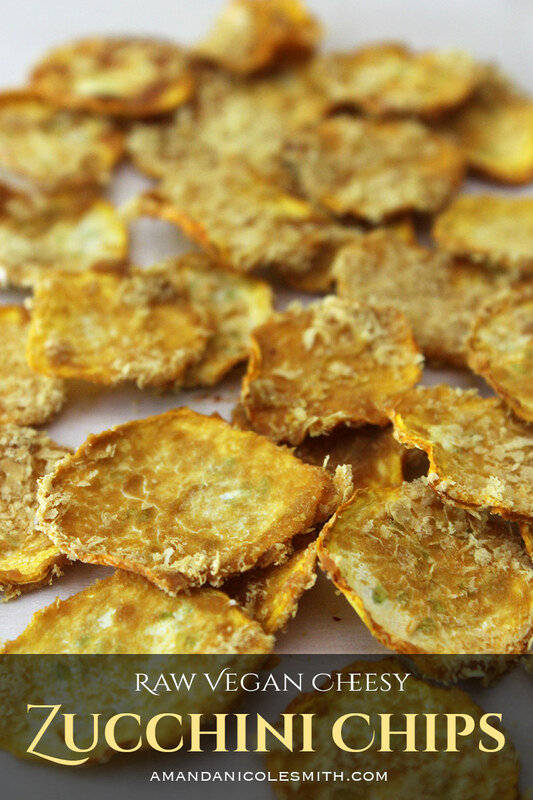 The cheesy zucchini chips are made with nutritional yeast and lemon. 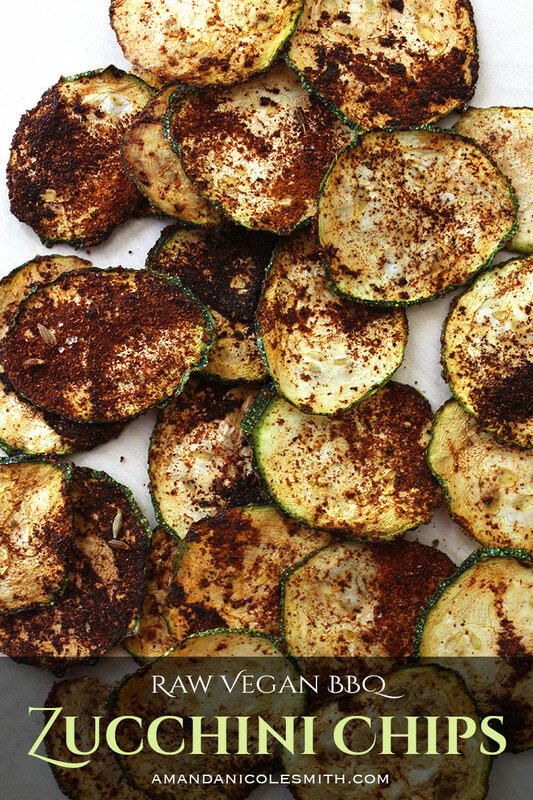 Very simple, just slice the zucchini sprinkle it with nutritional yeast and a pinch of sea salt, and squirt about a quarter of a lemon all over. Then you dehydrate until they get crunchy. These ones are the crunchiest of them all. 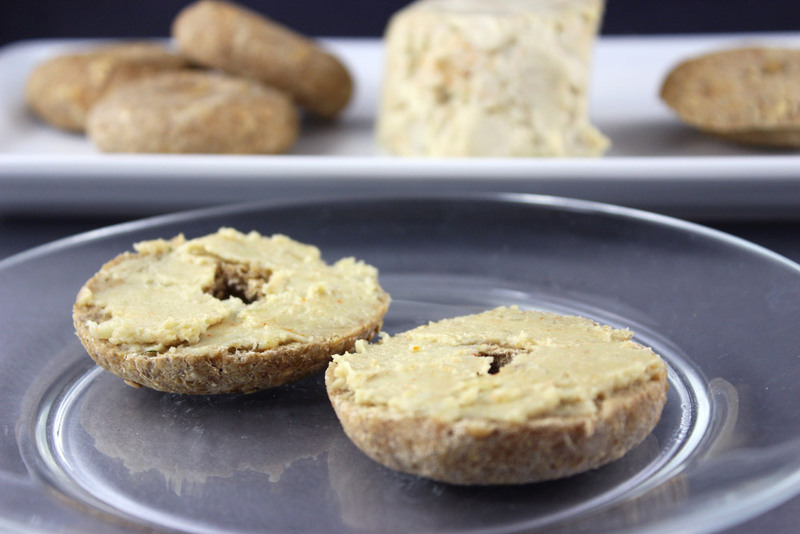 They remind me of cheese-its, but way fresher and more flavorful. 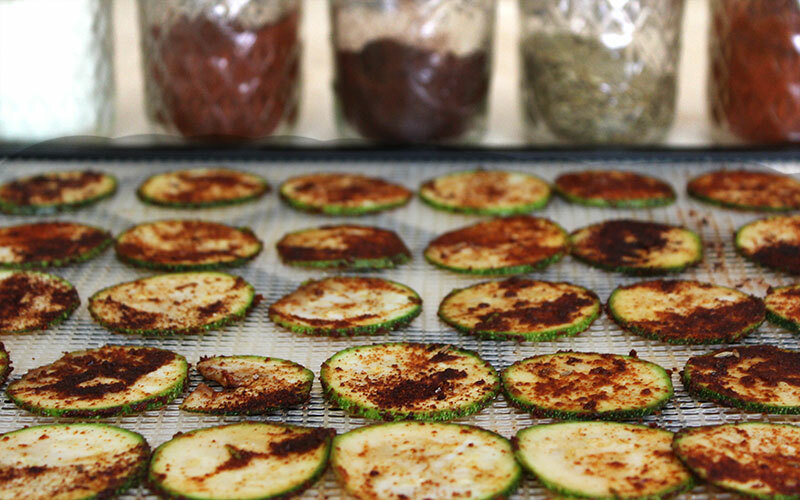 The BBQ zucchini chips are spicy and full of BBQ flavor, made with a variety of spices; paprika, chipotle, chili, and cumin. 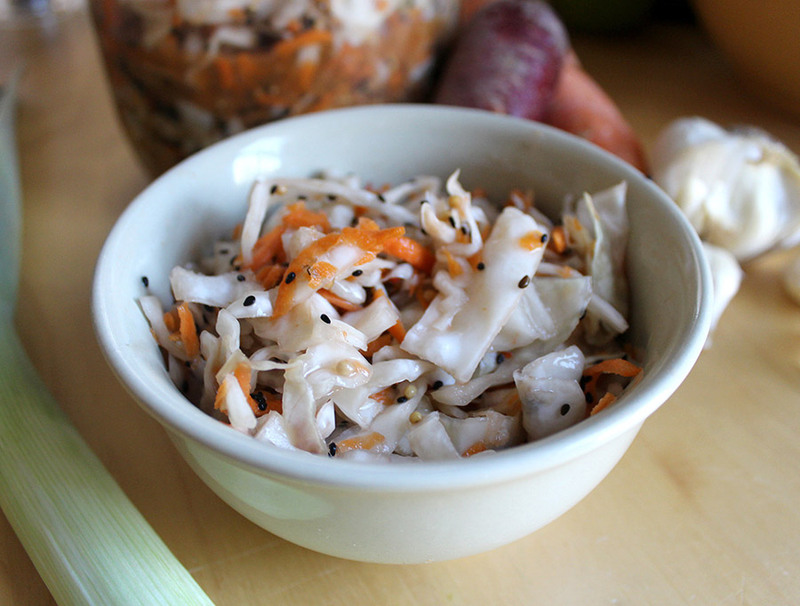 Then I sprinkle a little salt, and drizzle a little lemon or apple cider vinegar on top. Perfect. 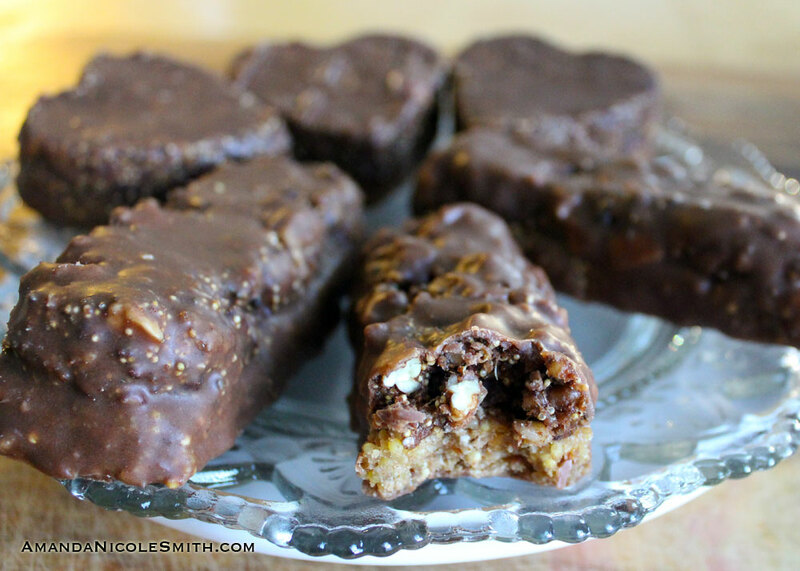 Sometimes I’ll even sprinkle in a little coconut sugar, Dominick and I like sweet heat, it’s more reminiscent of the grocery store bbq chips, but not necessary if you’re trying to avoid sugar. I was also thinking lime and chipotle would be really good by itself. Yum!! There are endless varieties, I challenge you to explore! 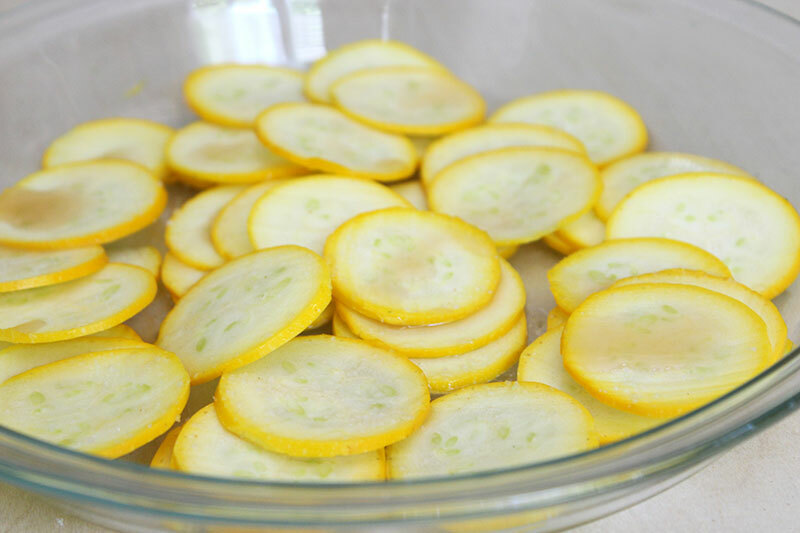 The salt & vinegar is my favorite, I soaked a yellow zucchini in apple cider vinegar and sea salt for about 5 minutes and dried them overnight with the rest of them. So tangy and crispy and everything you wold want from a salt & vinegar chip! Salt & vinegar chips were my favorite as a kid, and thankfully these fulfill my childhood craving. 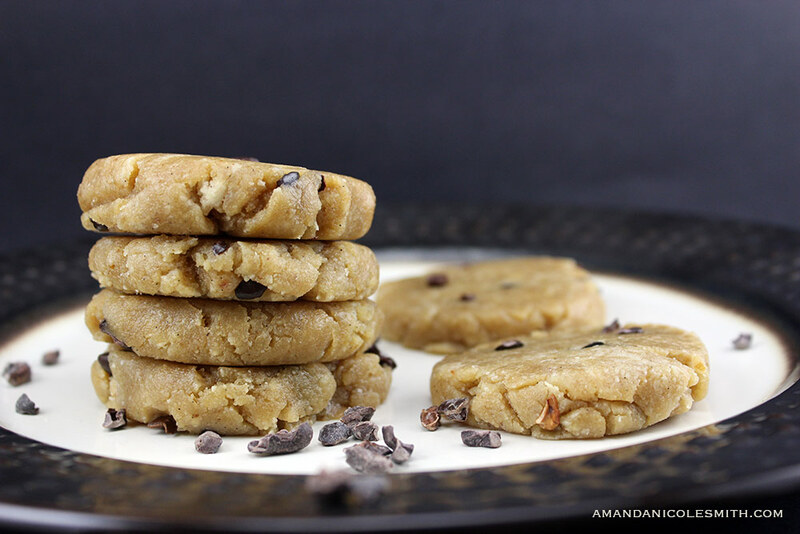 If you like salt & vinegar chips too, wait for my next post and you’ll have an exact raw vegan replica!! 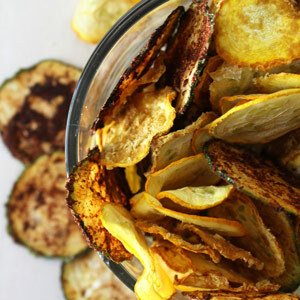 Cheesy, BBQ, and salt & vinegar chips made from zucchini. Slice zucchini 1/8-1/4 inch thick, preferably with a mandolin. Lay them out in a glass dish, try to separate them all, so they all get evenly coated. Add your spices, add more or less to make sure they are all covered, then sprinkle on your apple cider vinegar or lemon juice. Flip them over and add the rest of your spices, and acv or lemon juice. Place them on a ventilated dehydrator sheet. 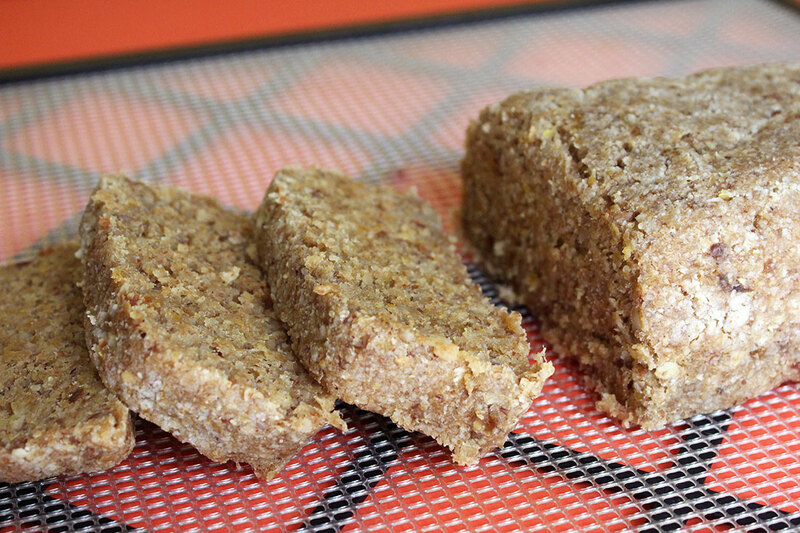 Dehydrate at 115 degrees overnight, about 8 hours; or until crispy. Store in an airtight container in a cool dark place for up to 3 weeks.